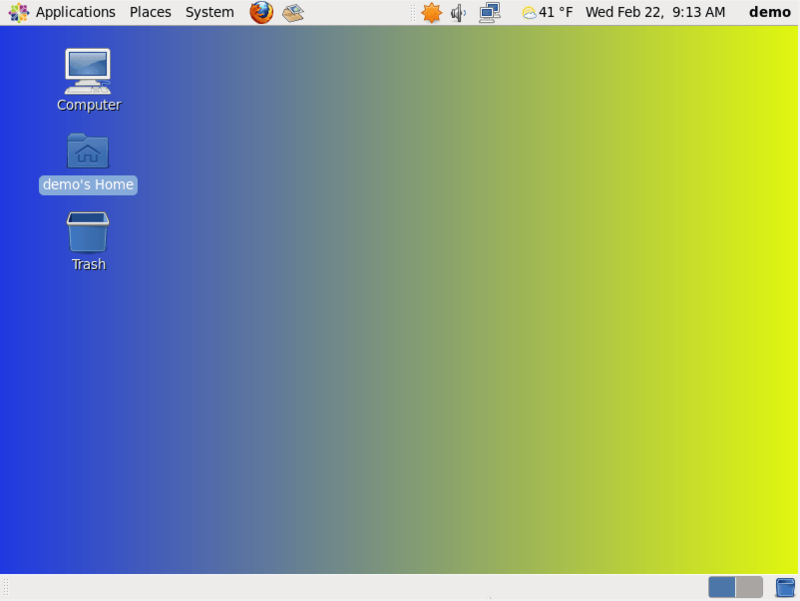 The CentOS 6 GNOME desktop allows the background to be changed either to a solid or graded color, to any image you choose to specify or a slideshow made up of multiple images. In this chapter of we will look at the steps involved configuring the desktop background. 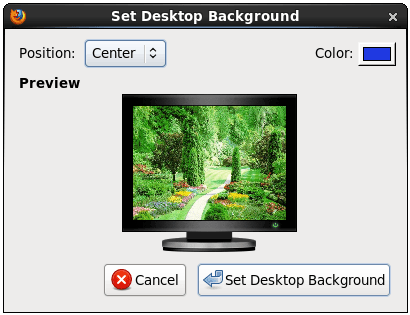 There are three methods for changing the background, either by clicking with the right hand mouse button on the current desktop background and selecting Change Desktop Background, selecting the Administration -> Preferences -> Appearance desktop menu option and selecting the Background tab, or clicking with the right hand-mouse button on an image in the web browser and selecting Set As Desktop Background from the resulting popup menu. The latter method allows you find images from one of the many web sites that provide them and quickly make one of them your background. 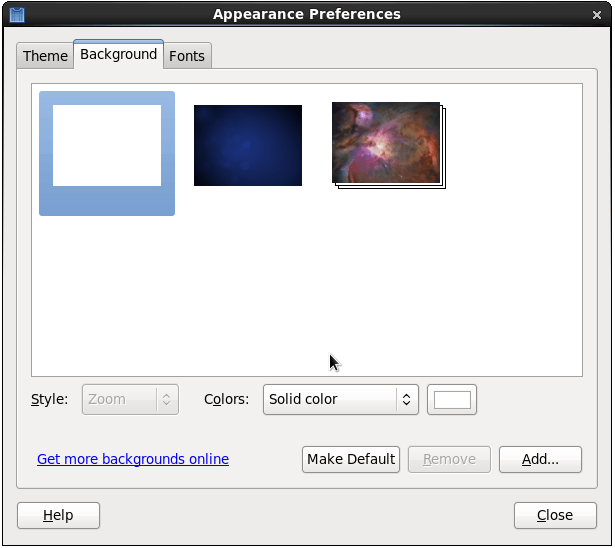 The background preferences dialog provides a list of pre-installed wallpaper background images from which to choose. Those images that are shown stacked are slideshows, as is the case in the far right background in the previous figure. As each example is selected the background will automatically change to reflect the new selection. Additional images may be added to the gallery by clicking on the Add… button and navigating to the image file. The Style menu provides a range of options for handling images that do not precisely match the screen dimensions. Choices include zooming, tiling, scaling and fitting. If you prefer a background consisting of a solid color simply select the blank option located at the top left of the gallery list, make sure the Solid Color option is selected next to Colors and click on the color box to select a color. From this dialog, select whether the image should be tiled, stretched or centered. If space is going to be visible around the edges of the image be sure to select a suitable color for the border area using the color box. Click on Set Desktop Background to apply the settings. The format is largely straightforward, requiring that a start and end date and time be specified followed by the definitions for the various transitions. If you intend to create your own desktop slideshow, the Cosmos XML file provides the ideal template from which to start.